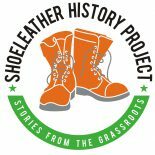 The Shoeleather History Project conducts walking tours of Hartford’s “history from below.” The ordinary people who are the real makers of history. The first route covers the Front Street neighborhood and the Old State House Square on Central Row. 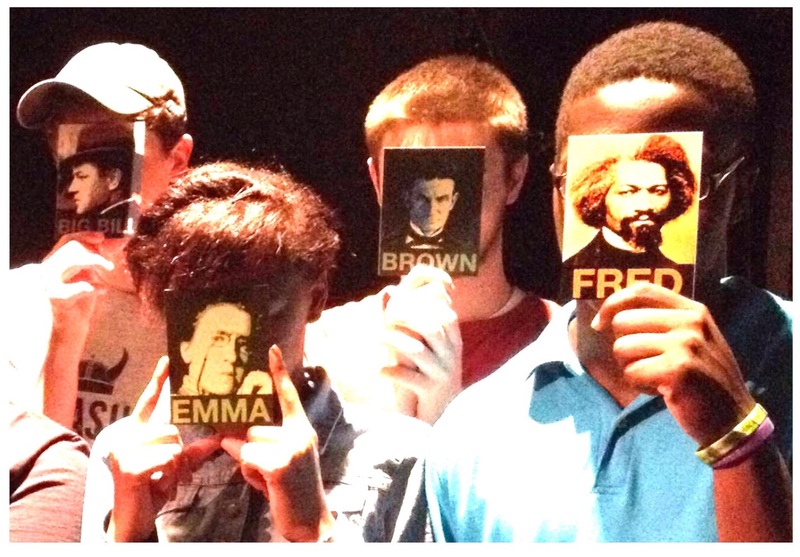 It includes Emma Goldman, James Connolly, Big Bill Haywood, John Brown, union organizer Rebecca Weiner, suffragist Josephine Bennett, Augustus Washington, Mary Townsend Seymour,artist Alton Tobey, Emmeline Pankhurst, and much more. 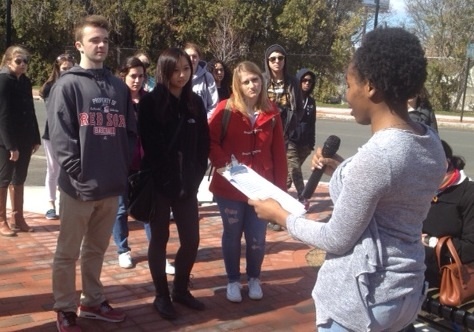 UConn students on the tour, reading from first-hand accounts of local history. 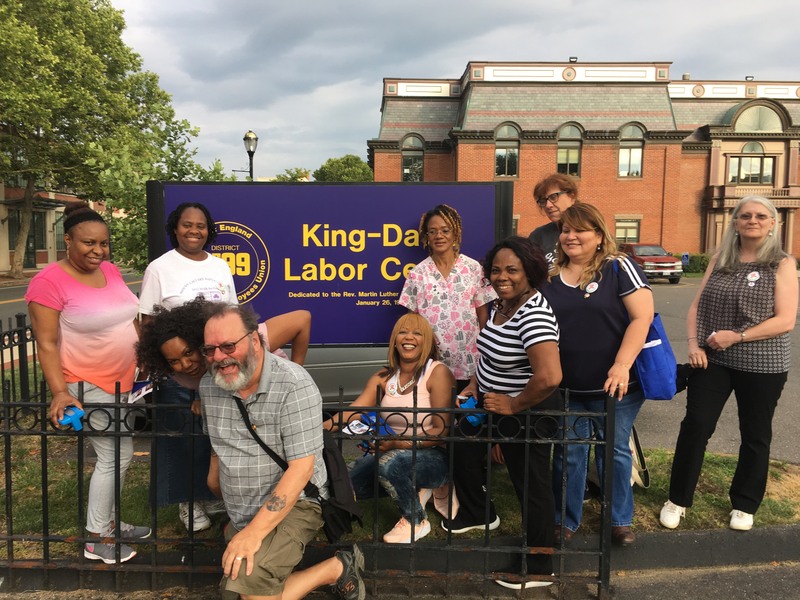 The second tour (Charter Oak Avenue to Huyshope Ave.) introduces Hartford’s boy genius and the golden boy, the Solidarity priest and the radical rabbi, the doctor who was a Puerto Rican revolutionary and the doctor who created the first WMD, struggles of women factory workers, tenants, the unemployed and homeless, Mark Twain, baseball and more. 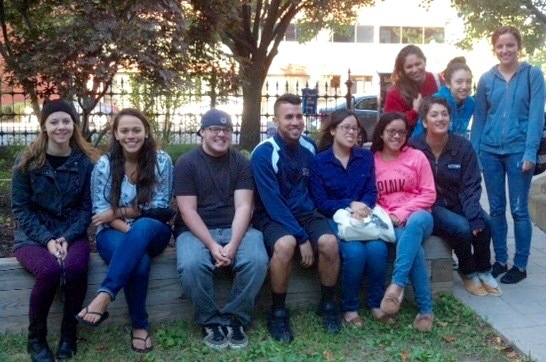 HartBeat interns taking on historic Hartford personalities. 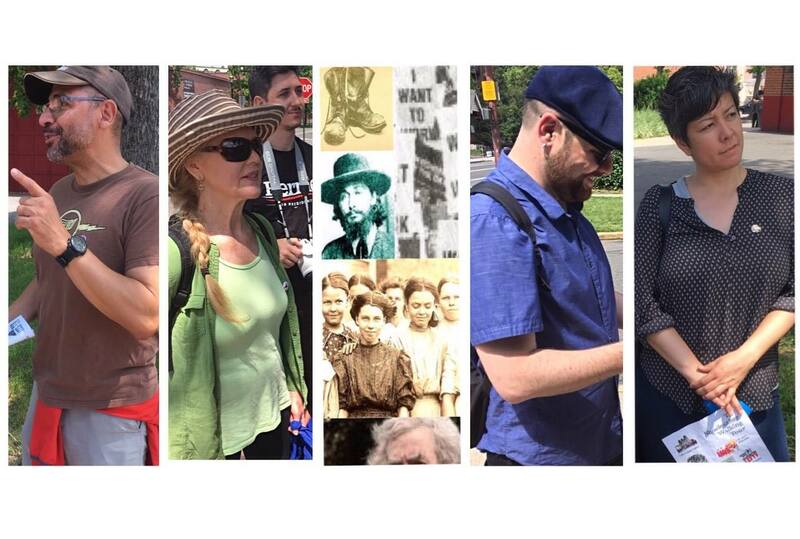 The third tour is Union Place, site of the historic train station, the birthplace of the city’s counter culture, the garment workers strike of 1919, gypsies, tramps and thieves, and much more. This walk (under an hour) ends up with beer and pizza at the Federal Cafe. Teaching and learning along the route. 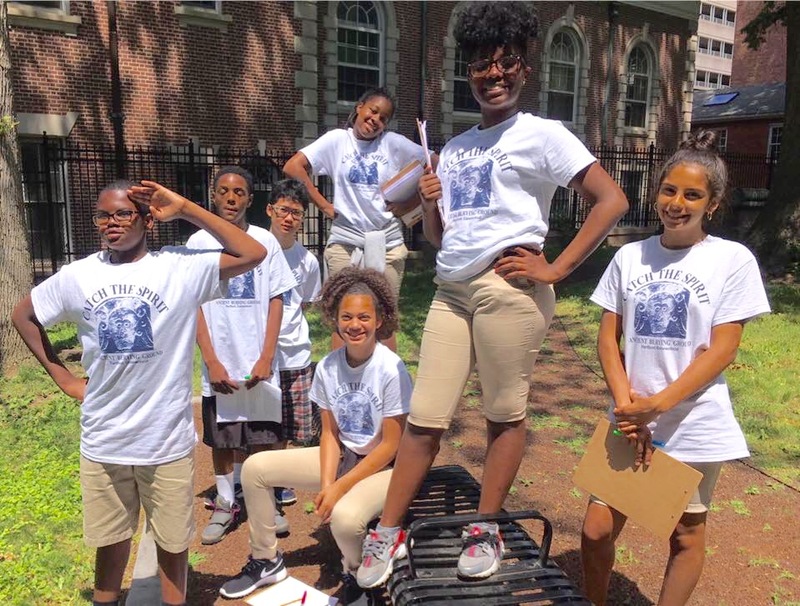 District 1199 Union Training Fund students use the tour for summer school writing prompts. Hartford middle school students training to be tour guides at the Ancient Burying Ground. Please tell me about the next tour. Where and how can we find out about future tours? Please add me to your mailing list for the next tour.